Travel writing – the two words spark images of adventure and romance. So it is fitting to imagine a travel writing series beginning, say, with an intrepid couple tapping on a borrowed typewriter as they float on a barge down an Amazon tributary. This was the case for Hilary Bradt. Her story reads like a film and she will tell it next Tuesday in an talk entitled Wild Adventures and Extreme Publishing. Hilary, 73, from Chalfont St Peter, where Bradt Travel Guides’ office still thrives in The Vale, first explored the Chilterns countryside. Then came a three-month hitchhiking trip to the Middle East before work in London. Here in 1964 she booked theatre tickets to see her much-loved Laurence Olivier in The Master Builder. She rushed in late with brother Andrew and realised they had the wrong play – it was The Royal Hunt of the Sun, about the Spanish conquest of Peru. Five years later Hilary made it to Machu Picchu, a jaw dropping Inca site in the Peruvian mountains. 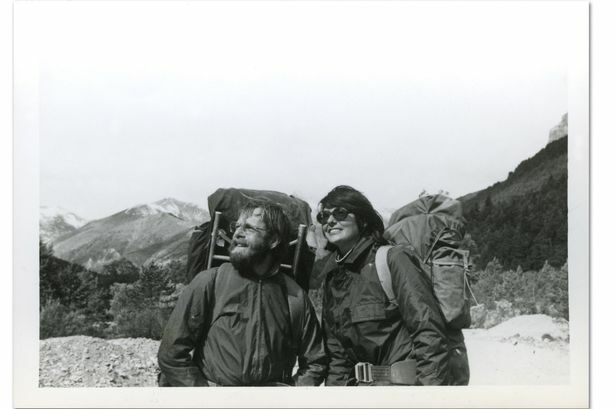 She returned with her new husband George in 1973 and, after the barge trip, they published Backpacking along Ancient Ways in Peru and Bolivia. It was a 58-page booklet sent to George’s mother in Boston who retyped it and printed 1,000 copies sold for $1.95 each. The book was riddled with typos, Hilary says, but it set Bradt’s theme of unusual destinations and eco-tourism and the business began to expand. “I literally has no business experience at all. It was a very steep learning curve, particularly when George and I split up in 1980. I was doing all the selling myself,” she said. This involved lugging about 20 books on a train through Europe and showcasing them at various bookshops. Back in Chalfont St Peter her trusty colleague Janet Mears, Bradt worker of 37 years, carried out the administration. Now the company has about 200 titles. Hilary describes the “thrill of getting your first article published” or “standing on the edge of Machu Picchu” as perks of the job although being arrested three times in Africa was not as rewarding. In the communist Ethiopia of the 70s, she and fellow writers were drinking at a bar and working on their diaries. Students engaged them in a conversation about equality for black people. Once the students left, an army lieutenant approached and accused them of talking illegally about politics. After a day in the cells, Hilary was told to leave Ethiopia, which she did. This did not stop her returning to the country and other continents for many more adventures. Semi-retired and now living in Devon, your best bet of hearing more of Hilary’s stories is through her talks on YouTube.